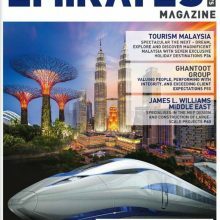 Get up-close with Meinhardt Group Chief Executive Officer, Omar Shahzad in the latest issue of Emirates Projects Magazine. In the broad ranging interview, he talked about why he joined Meinhardt and how Meinhardt helps solve our clients’ toughest infrastructure and urban challenges. He also shared his views on the construction industry.